Open source example app showing the differences between a basic implementation of a handful of Angular and Rails libraries. On the client side, it compares Angular’s ngResource vs. Restangular, and Angular’s ngRoute vs. Angular-UI-Router. On the server side, it compares using Rails vs. Grape to serve up the API. 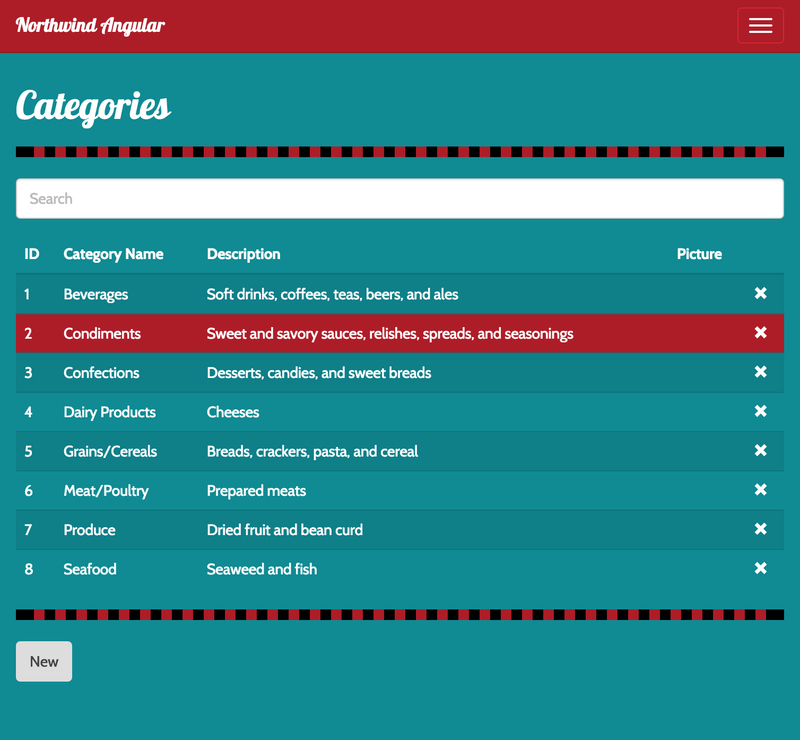 Its an Angular front end with a Ruby API sitting on the Northwind sample database.